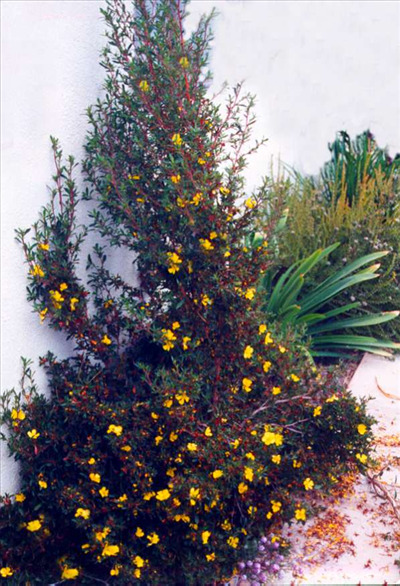 Erect shrub 4-7' with bright yellow flowers and red stems and reddish-brown bark. Prefers well-drained soils. Tolerant of frosts to 25F without damage. Prefers mulched root system and some summer water in southern California. Prune when young for bushier growth. 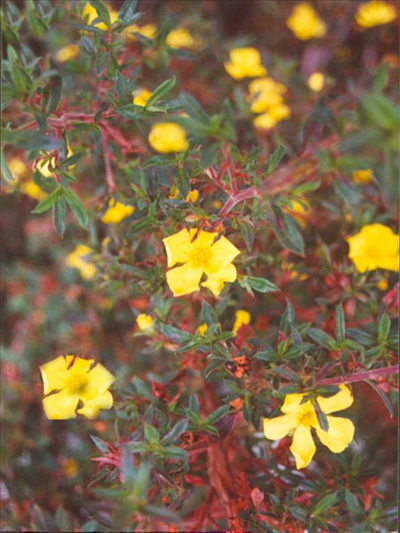 Grows well full sun in coastal situations or shade in inland areas. Excellent for narrow sites.